Wendy Chamberlain is a contributing author to the book – Insiders Know-How: Property Investment Australia that offers practical, proven and easy to follow advice on how to invest in property in Australia. 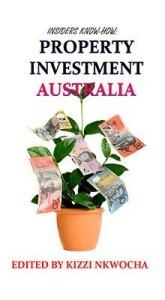 With insightful chapters written by some of Australia’s sharpest property investors, this is the ultimate guide for anyone looking to invest in property and maximize their profits while minimizing losses. 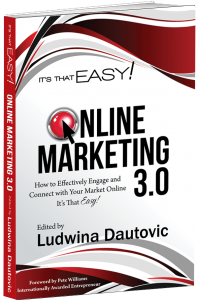 Grab a copy of the book here. Wendy Chamberlain is a contributing author to the book – How to Effectively Engage and Connect with Your Market Online, sharing her thoughts on connecting via social media in the digital age. Grab a copy of the book here. In celebration of International Women’s Day, Wendy Moore (Chamberlain) joined 100 International Women to share powerful stories of how to stay focused on your dreams. 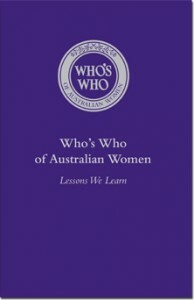 Wendy Moore (Chamberlain) has been listed in the 2009, 2010, 2011, 2012 & 2013 Who’s Who of Australian Women. 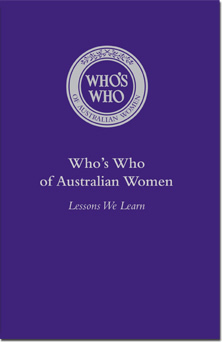 The book is a kaleidoscope of the experiences that have shaped 6,600 of Australia’s most remarkable women, and how they in turn have shaped the nation. Wendy Moore is a contributing author to the book – SPROUT WEALTH – Business women and the Law of Attraction. 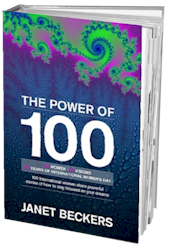 Wendy Moore is featured amongst the World’s best in an exciting inspirational book – The Path To Success.